Långnäs passenger and car ferry ticket prices, timetables, ticket reservations and information for ferries sailing from Langnas to Stockholm and Turku. Compare all available Langnas ferry ticket prices in real time and book the cheapest available Langnas car and passenger ferry tickets sailing to and from Langnas, Stockholm and Turku with Viking Ferry Line ferries online with instant confirmation. Book Langnas Ferry Tickets with Viking Ferry Line for ferries sailing from Langnas to Stockholm and Turku online in advance to enjoy the cheapest available ferry ticket price. The price you see is the price you pay. There are no hidden extras or surprises such as added fuel surcharges or booking fees and we do not charge you anything extra for paying with a Visa Electron card. The price we quote you for your selected Langnas passenger or car ferry ticket, onboard accommodation and vehicle type is all you will pay, and that's a promise. To obtain a Langnas ferry ticket price and book your ferry ticket securely online please use the real time ferry booking form on the left. You are also able to add a hotel at your destination, or anywhere else, to your ferry ticket when completing your ferry ticket reservation. Långnäs is a port in Lumparland on the eastern mainland of Åland. Road ferries to Kumlinge and Galtby via Kökar start here. An important ferry port on Aland is situated near the Port of Mariehamn, the Port of Langnas can be found 29 km / 81 miles southeast from Mariehamn. From the Port of Langnas Viking Line operates ferry services to Stockholm, Sweden and Turku, Finland. One crossing to both destinations is daily available. 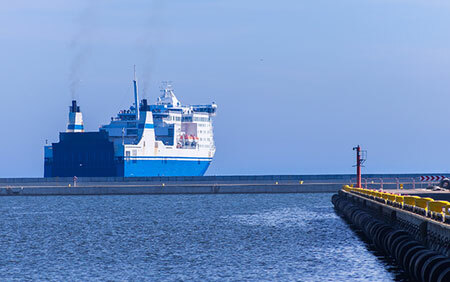 In 1999, European Union legislation outlawed the sale of duty free goods on ferry cruises within the EU, but Åland's tax privileges provide a legal exemption for ships that call at a port in Åland. As duty-free sales are a considerable source of revenue for the ferry shipping companies, all major routes between Sweden and Finland include a stop there. Langnas is a small harbour in Lumparland, one of the smallest municipalities on Åland. Lumparland is a picturesque little county with lush green meadows, fields alternating with forests, hills, bays and beautiful beaches. A must see place while in Langnas is the oldest wooden church of Lumparland and the breathtaking view from the highest mountain called Lumpokasen. Best Price Guarantee - We always offer you our lowest available Viking Ferry Line passenger and car ferries ticket price to and from Langnas. There are no hidden extras or surprises such as added fuel surcharges or booking fees and we also we do not charge you anything extra for paying with a Visa Electron card. The price we quote for your selected Langnas ferry ticket, onboard accommodation and vehicle type is all you will pay, and that's a promise! In the unlikely event you find the same all inclusive Langnas ferry ticket cheaper in the brochure of any other tour operator we promise that we will do our best to beat that price or offer you the choice of requesting a refund. To book Langnas car and passenger ferry tickets please click here. At ferryto.com you are able to obtain live Langnas ferry ticket prices, check availability and book car and passenger ferry tickets to and from Langnas at our lowest available ticket price. Ferryto.com is part of the world's largest online ferry ticket distribution network providing the ability to book over 80 major European ferry operators including to Langnas and to over 1,200 other ferry routes throughout the UK, France, Spain, Ireland, Holland, Eastern Europe, the Mediterranean, the Baltic and North Africa.